and I have never liked the lamp shades. Since my obsession with chalk paint continues, I decided to try it on these lamps. Two “new” lamps to use in my country home master bedroom. 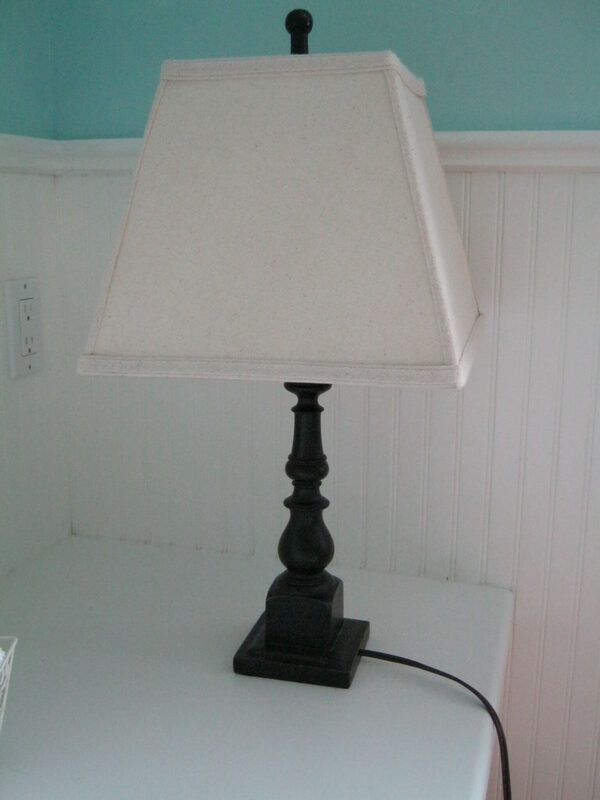 Before you decide to give up on that old lamp why not try some paint! That’s a very lovely transformation you’ve carried out. I have an old lamp I bought my mother in the 1980’s and I want to give it a face lift after my back operation. Not sure what to do with it yet as the house we’re in is only temporary (I hope but we’ve been here 3 years now). Haven’t done anything much to the place except for the gardens as we were hoping to move on quicker than this. I’m your latest follower. Hi Suzan, just saw your comment on my other post. Thanks so much for dropping by. I stopped painting for awhile but now that I discovered chalk paint I paint everything as well. These are the second set of lamps I painted, the first were with spray paint. I’m your newest follower – would love to have you visit and follow back when you have the chance! Thanks Kerryanne! I thought there might be something wrong when I did not see a photo but was not sure what to do. I will resubmit. Thanks again, I am pretty new at this. Thanks! These are the second pair that I painted but the first with chalk paint. The other lamps I spray painted, they are ceramic and the spray paint worked well. Don’t you love it when you can transform something old? Thanks Lauara! I love using the chalk paint too! Love your lamps I have also been madly painting my lamps to refresh them. your lamp turned out lovely. I love chalk paint and the old white color!